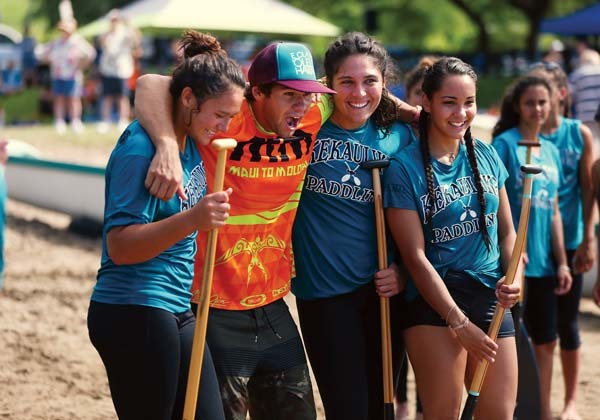 LAHAINA — King Kekaulike High School’s Makanahele Emmsley looked up at the finish line alongside her girls paddling crew in disbelief Saturday at the Maui Interscholastic League canoe regatta No. 4 at Hanakaoo (Canoe) Beach Park. 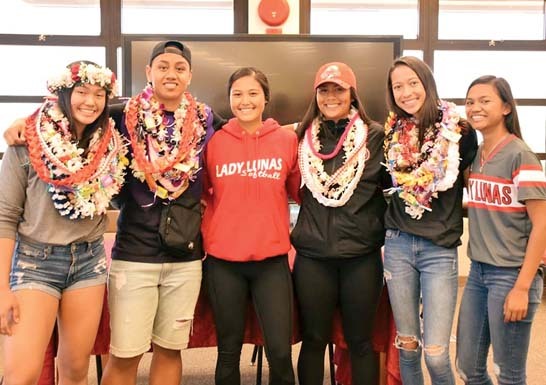 Na Alii’s crew of Emmsley, her younger sister, Kuaola, Jennea Nagura, Skyler Sands, Wailupe Subega and Kamakana Kawaa took first in 4 minutes, 16.60 seconds, finishing 6.57 seconds ahead of Kamehameha Maui. Defending state champion Seabury Hall took third in 4:27.03. 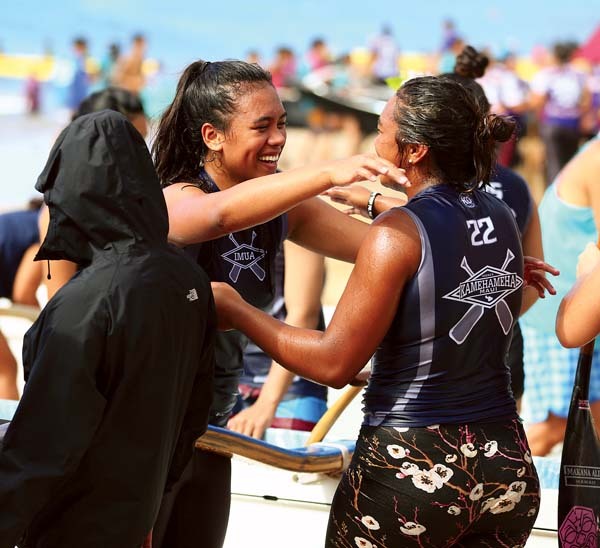 King Kekaulike’s victory leaves the girls title up for grabs in the last regatta of the season next weekend at Kahului Harbor. The Spartans’ boys crew, however, locked up its fourth straight MIL crown, while Kamehameha Maui claimed its first mixed league title since 2009 — both clinching crews won for the third time this season on Saturday. The Na Alii crew had placed sixth and fifth at the first two meets of the season, but moved up junior varsity paddlers Kawaa, Sands and Kuaola Emmsley for the third regatta. While last week’s meet was determined unsanctioned due to the false ballistic missile alarm scare, the crew won the race and sought to prove it was not a fluke Saturday. “Overall those were the six strongest girls on the team so I figured let’s throw them in a boat together and see what they can do — and they did it,” King Kekaulike coach Flo Michelier said — he noted that he believes this is Na Alii’s first varsity win in over a decade. Kawaa, a sophomore, said the race was her best ever as a steersman with their ama perfectly “kissing the bouy” on their turn. Kamehameha Maui’s victory knocks off the Spartans, who had won the last two state titles and the last eight MIL crowns. The Warriors crew of Triston-Hookele Santos, Rafael Adolpho, Joshua Kailiehu, Healani Tolentino, Liana Vasconcellos and Hoala Alapai took first in 3:55.22 — about four seconds faster than Seabury Hall. King Kekaulike took third in 4:22.73. Warriors coach Robert Brede said he was proud of his team and overcoming the emotions of this week’s races. He said he focused more on the mixed crew to sew up the league title. While the school’s last mixed state title was in 2006, the crew took third last year and returns Adolpho, Santos and Alapai. The Spartan’s championship boys crew of Noah Garcia, Haena Balinbin, David Coulombe, Kainalu Kubo, Rieley O’Conner and Dylan Newbro crossed the finish in 3:42:15 — about nine seconds faster than Kamehameha Maui. King Kekaulike placed third in 3:56:33. The crew will prepare for the state championship where they have finished runner-up behind Punahou the past two seasons. As for the MIL girls title, it appears up for grabs. The Farmers took the first regatta and the Warriors won the second. “They need to get their acts together and stop worrying about everybody else,” Molokai coach Stefanie Hubbard said of her team. “They worry too much about what’s going on outside of the boat. Once we can get that squared away we’ll be fine. * Chris Sugidono is at csugidono@mauinews.com. Girls–1. King Kekaulike (Jennea Nagura, Kuaola Emmsley, Skyler Sands, Makanahele Emmsley, Wailupe Subega, Kamakana Kawaa) 4:16:60, 2. Kamehameha Maui 4:23:17, 3. Seabury Hall 4:27:03, 4. Molokai 4:30:44, 5. Maui High 4:38:14, 6. Lahainaluna 5:04:03. 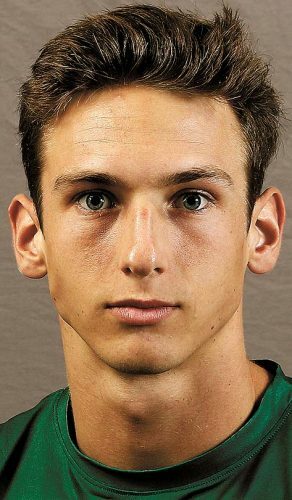 Boys–1. Seabury Hall (Noah Garcia, Haena Balinbin, David Coulombe, Kainalu Kubo, Rieley O’Conner, Dylan Newbro) 3:42:15, 2. Kamehameha Maui 3:51:42, 3. King Kekaulike 3:56:33, 4. Lahainaluna 4:04:60, 5. Maui High 4:21:86, 6. Kihei Charter 4:24:88. Mixed–1. Kamehameha Maui (Triston-Hookele Santos, Rafael Adolpho, Joshua Kailiehu, Healani Tolentino, Liana Vasconcellos, Hoala Alapai) 3:55:22, 2. Seabury Hall 3:59:11, 3. King Kekaulike 4:22:73, 4. Lahainaluna 4:23:49, 5. Baldwin 4:29:03, 6. Lanai 4:52:28. Girls–1. King Kekaulike 2:02:88, 2. Lahainaluna 2:04:31, 3. Seabury Hall 2:08:46, 4. Kihei Charter 2:08:83, 5. Baldwin 2:11:31, 6. Maui Prep 2:13:20. Mixed–1. Seabury Hall 1:53:68, 2. Kamehameha Maui 1:54:42, 3. Kihei Charter 1:55:17, 4. Baldwin 1:56:95, 5. 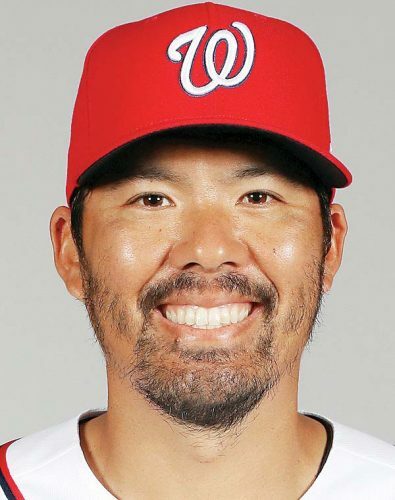 King Kekaulike 1:59:61.